Buying your new home can be an exciting adventure! Our home buying guide will help you understand the process – from steps you should take at the beginning through closing on your new home. While there are a lot of details involved, taking the right steps and making informed decisions will make your purchase go as smoothly as possible. Work with your agent to search for homes that meet your goals and criteria. You’ll also want to make sure you view homes in person – pictures are awesome, but can sometimes be misleading! Don’t get frustrated if you don’t find a home immediately – each showing gives you a chance to learn more about what you can get in your area at your price point. You’ll find a place to call home. The timing for closing can vary, but the average is 30 days. Typically, within 48 hours prior to closing, you’ll do a final walk-through to check that all agreed-to repairs are completed and that the home is in the expected condition. You can expect to meet with your lender and agent to finalize the paperwork. 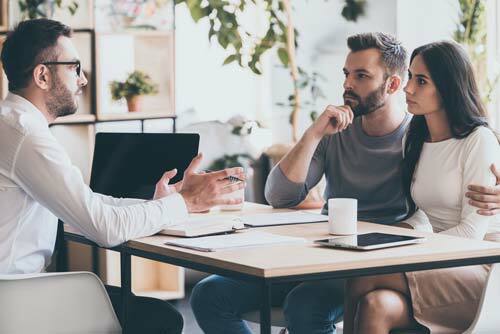 There may also be attorneys present, the seller’s agent, a representative from the title company, and the designated closing agent. During the closing, all paperwork will be finalized, including the deed, title, financial/funding, closing statements, insurance, contract, etc.